LIQS is pleased to welcome award winning quilter, author, lecturer and teacher Pat Yaminof Come Quilt with Me. 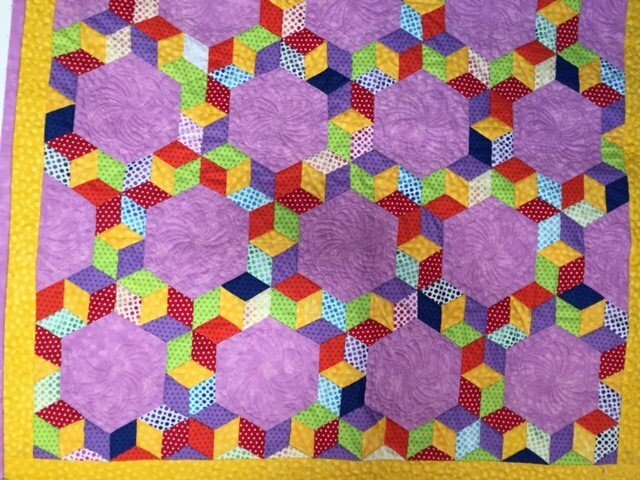 Sign up now for Pat Yamin’s new class on this ever-popular old pattern and learn how to rotary cut those 60 degree diamonds that fit snugly around their hexagon neighbors. Although it looks complicated, it really isn’t. You’ll be surprised how easy it is to piece the diamonds and the hexagons by hand or machine. 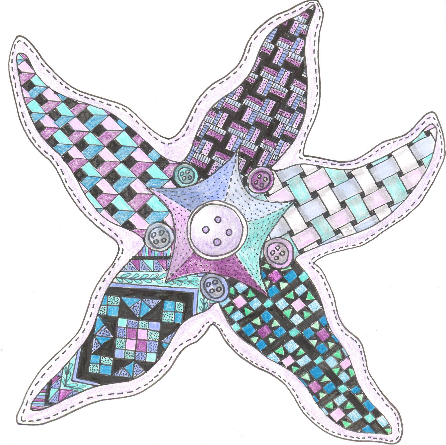 Whether a hand or machine quilter Pat will show you a simple way to get started on this project you can finish at your leisure at home. It’s a great method and after all-what could possibly be more exciting than diamonds that “marry” hexagons! NOTE: ANY QUESTIONS CAN BE DIRECTED TO ME AT sewjoysew@gmail.com. YOUR PLACEMENT IN THE WORKSHOPS IS ONLY GUARANTEED ONCE YOUR PAYMENT HAS BEEN RECEIVED. CHECKS ARE TO BE PAYABLE TO LIQS AND PLEASE PUT THE CLASS DATE IN THE MEMO LINE.